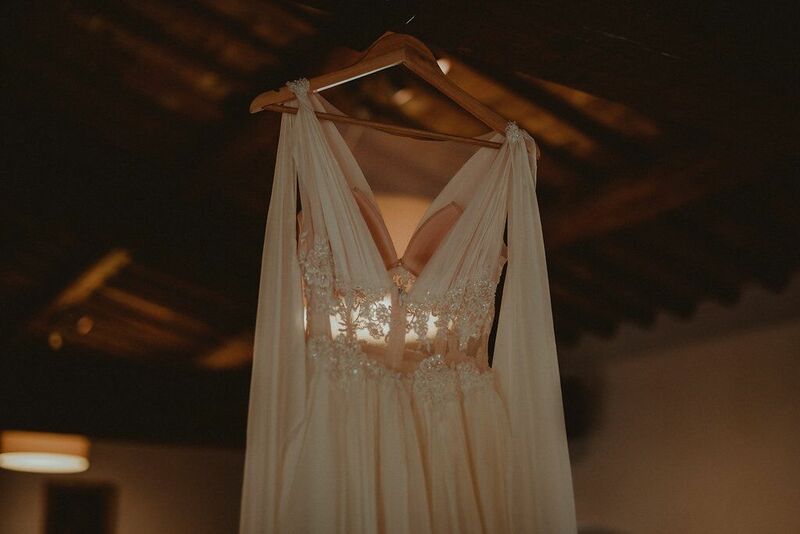 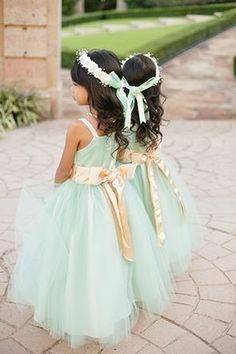 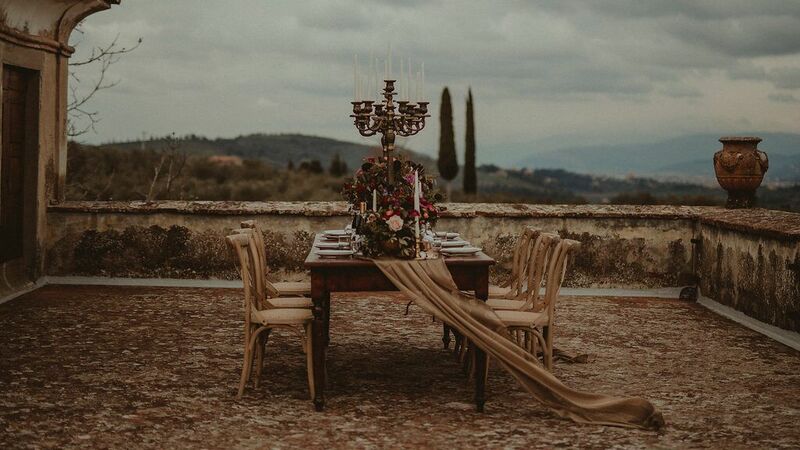 Destination Wedding in Tuscany, Italy anyone? 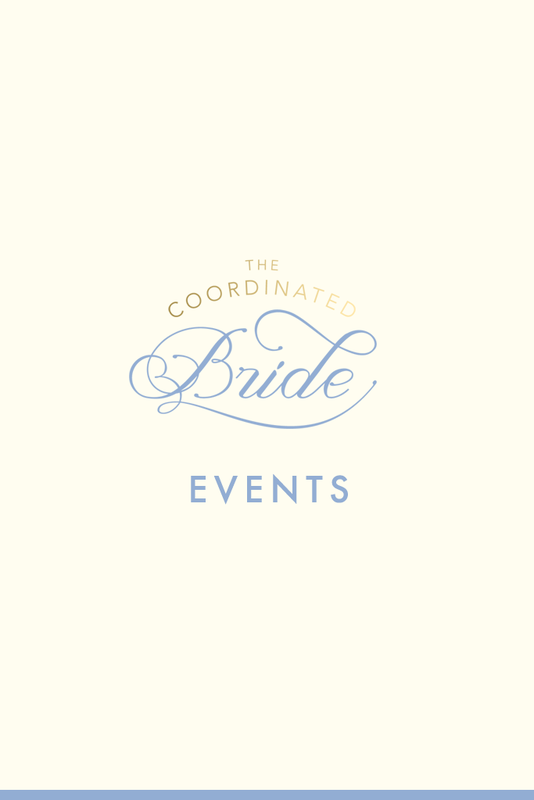 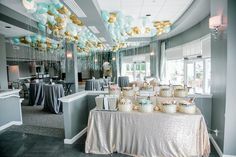 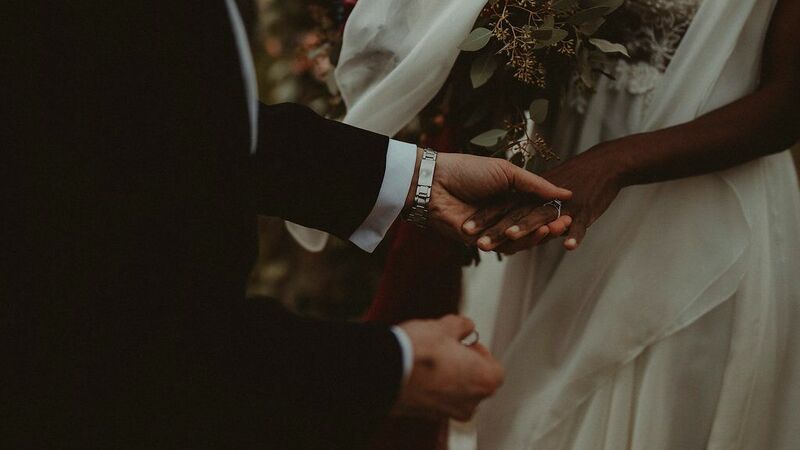 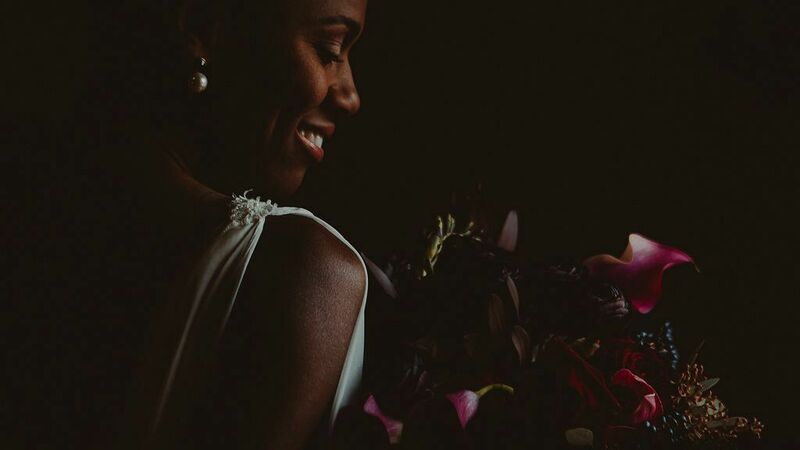 Funmi Dosunmu is destination wedding and event planner based in NYC. 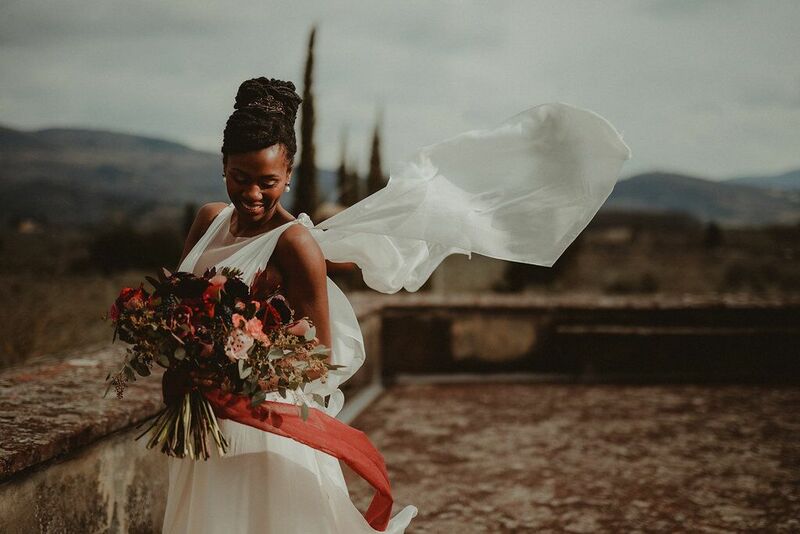 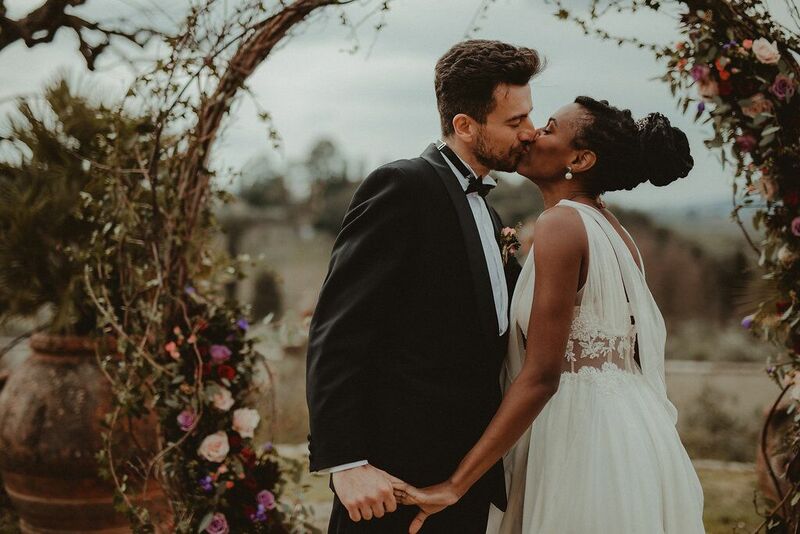 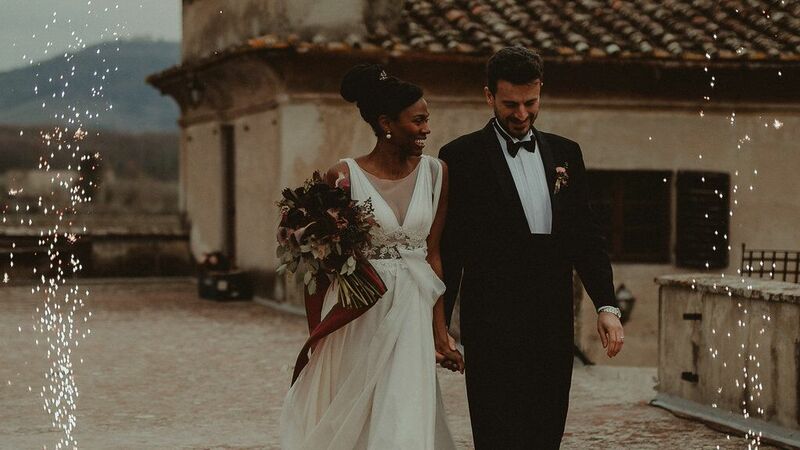 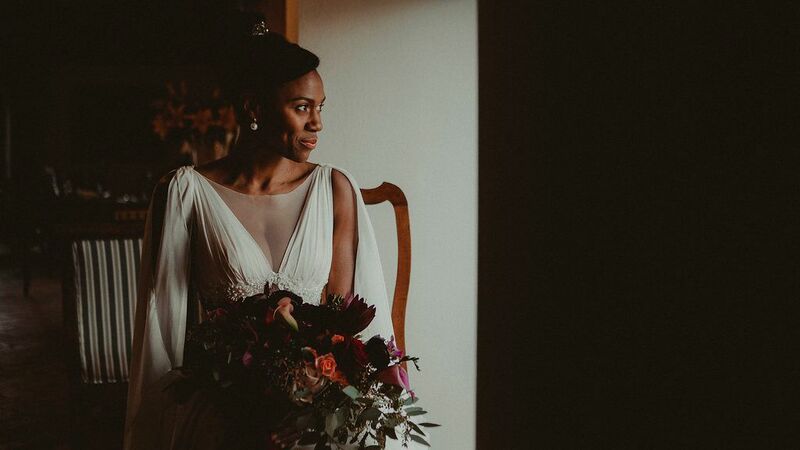 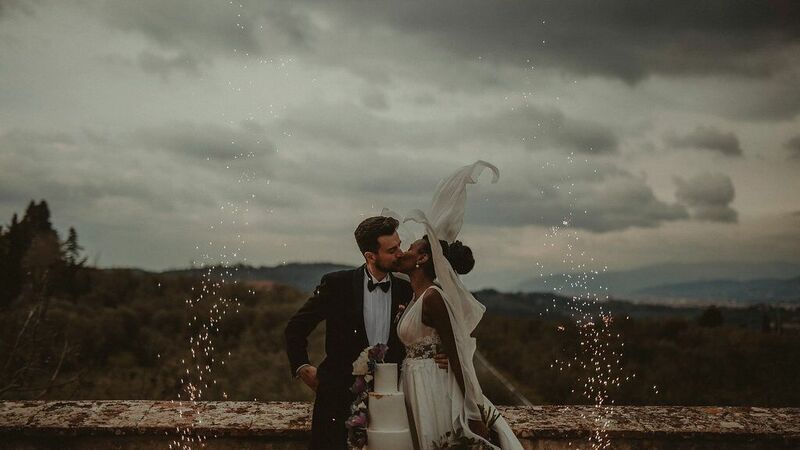 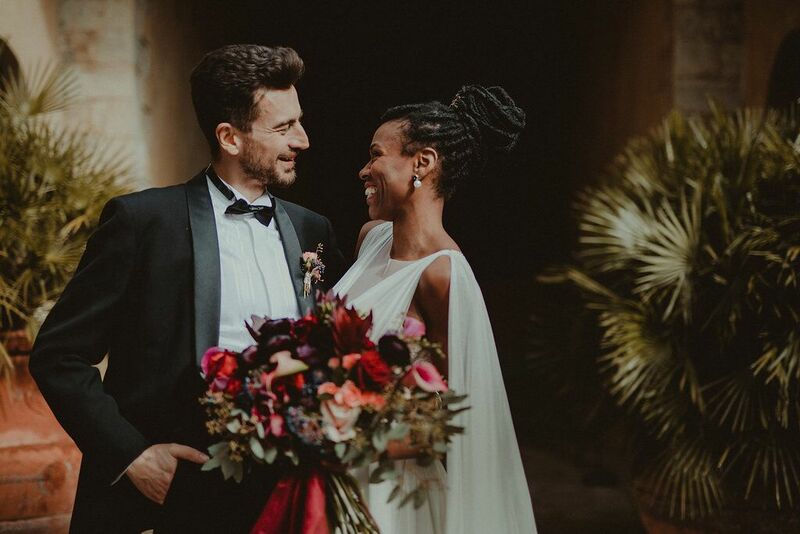 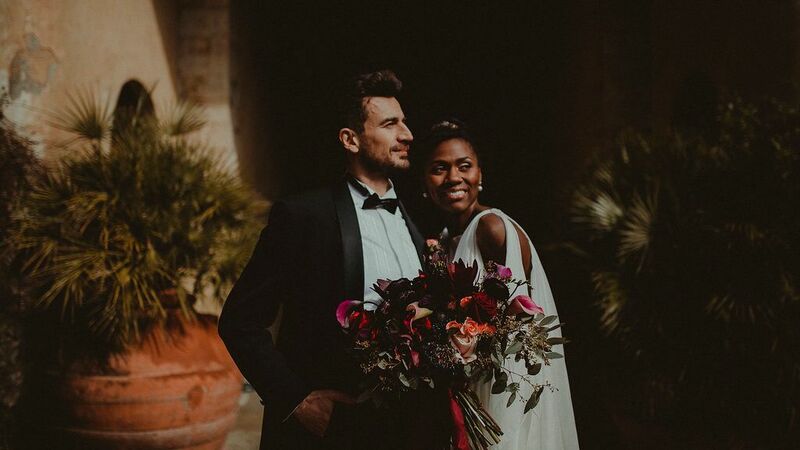 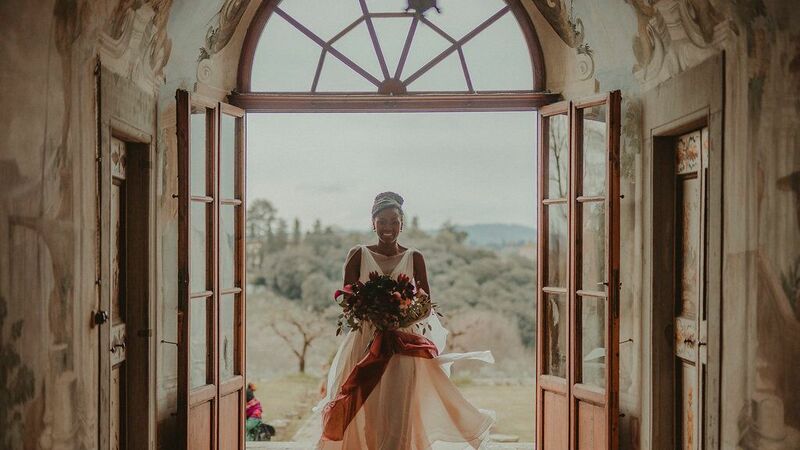 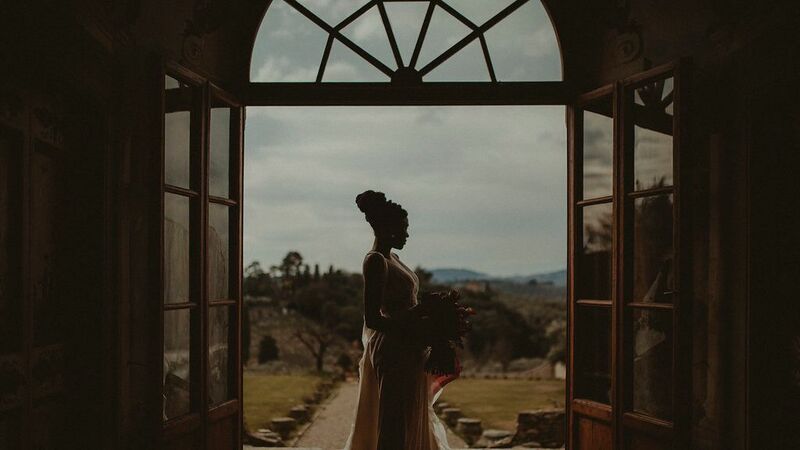 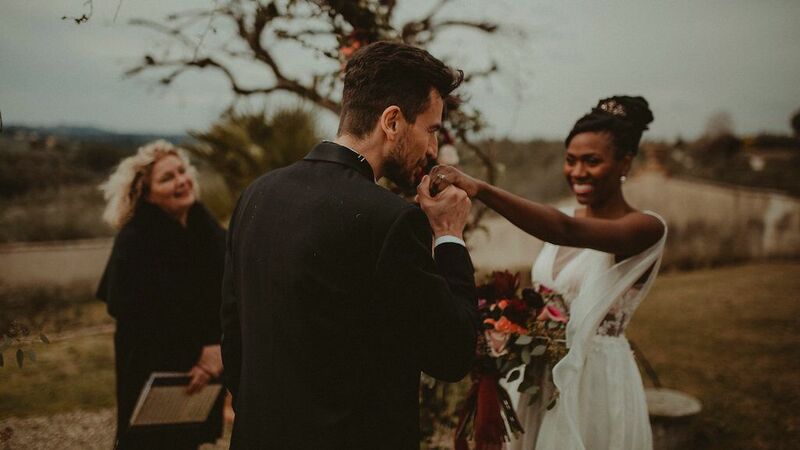 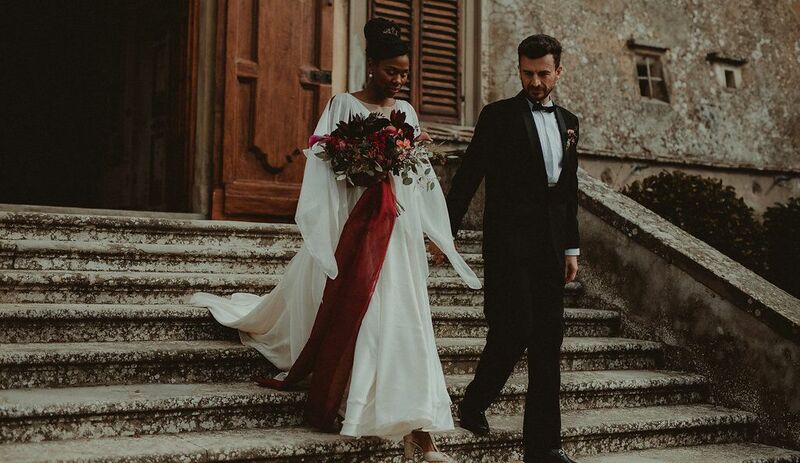 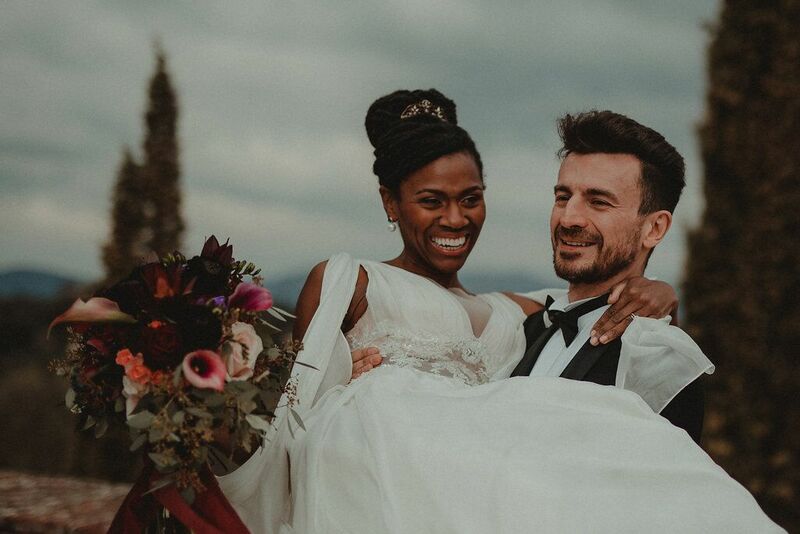 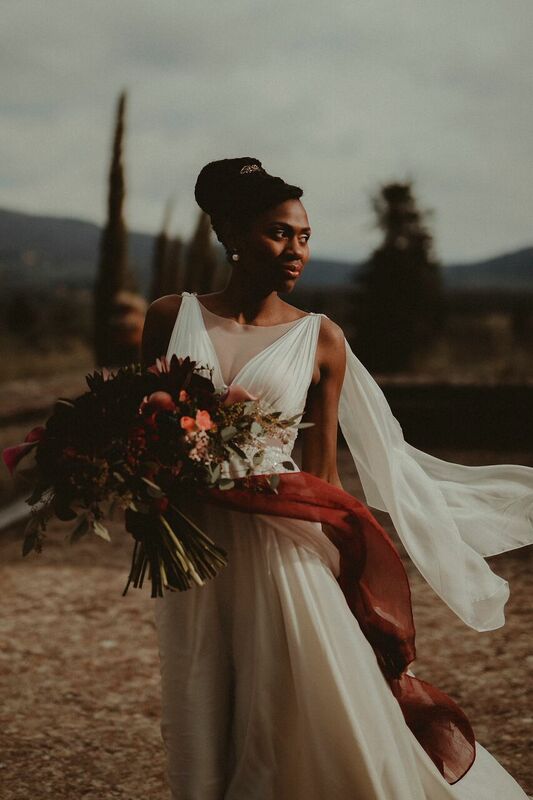 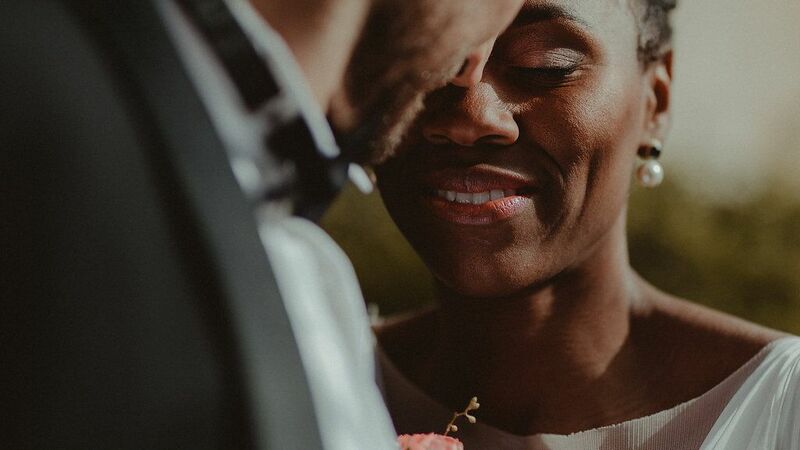 When Funmi decided to take a trip to Italy, she knew that she wanted to do a styled shoot in the lush hills of Tuscany. 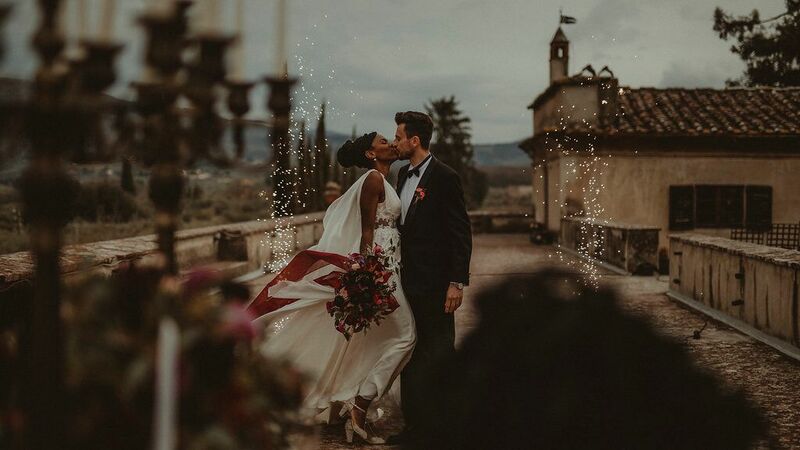 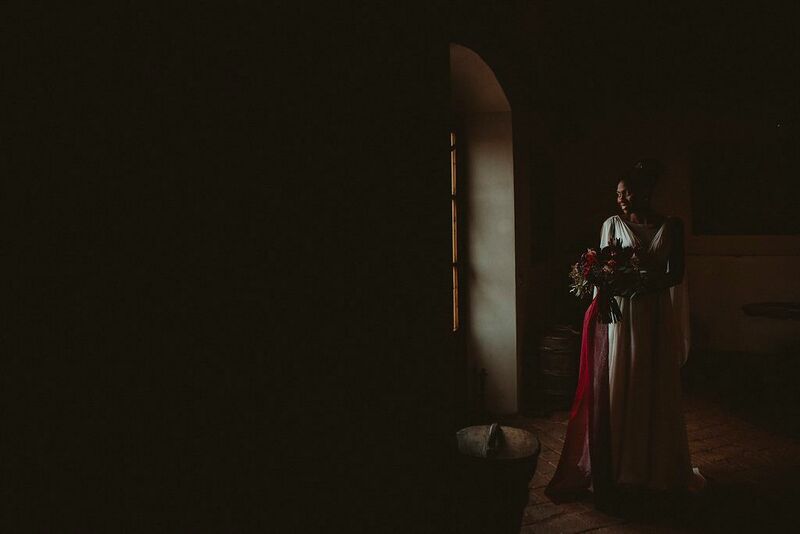 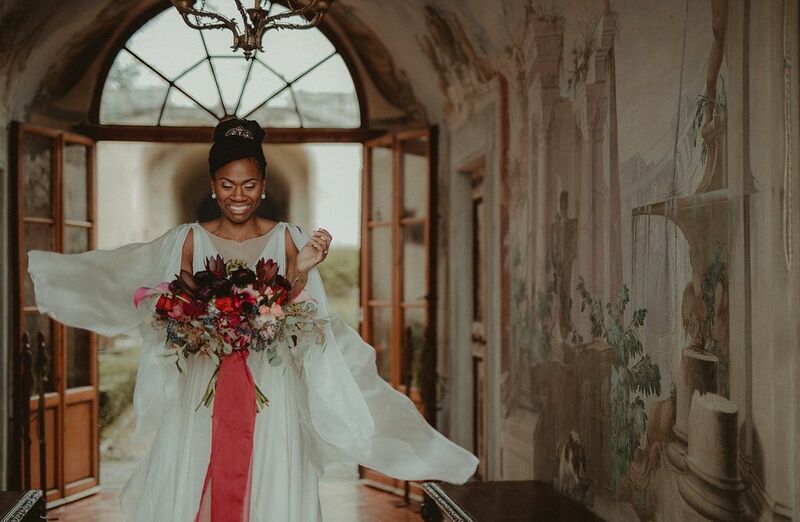 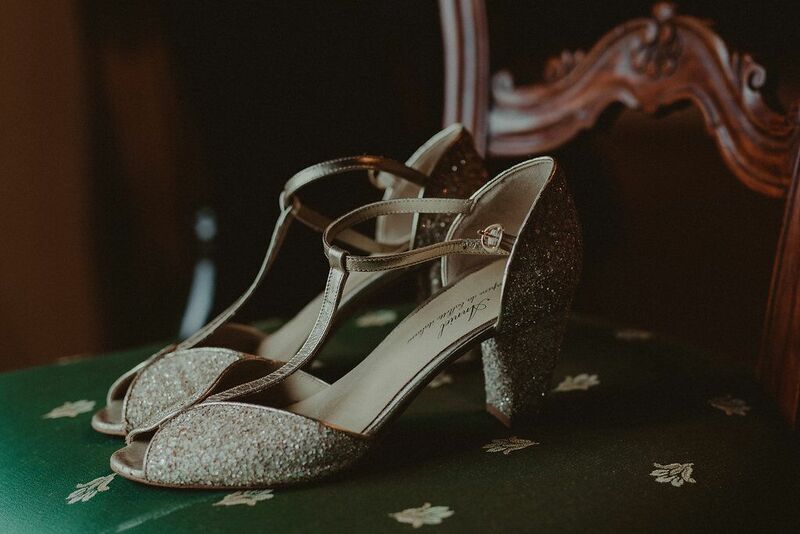 Italy is filled with amazing history, and a historic mansion located on a stunning estate which coordinated effortlessly as the perfect backdrop for the shoot. 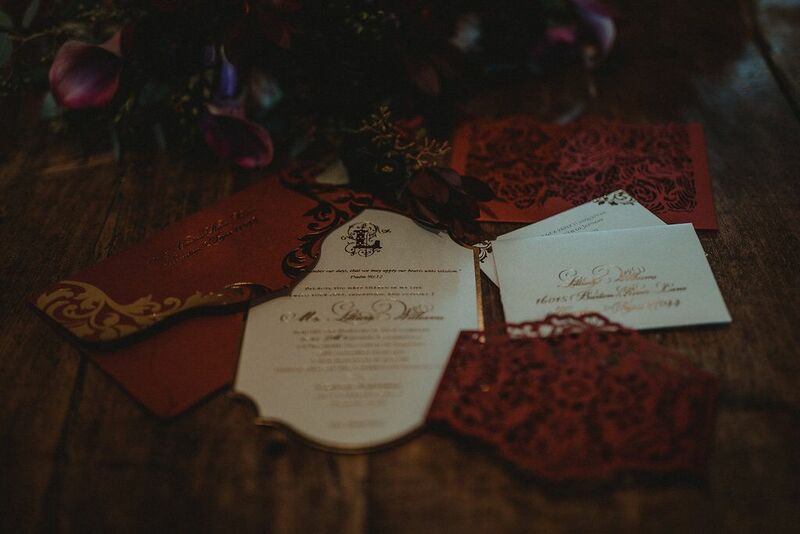 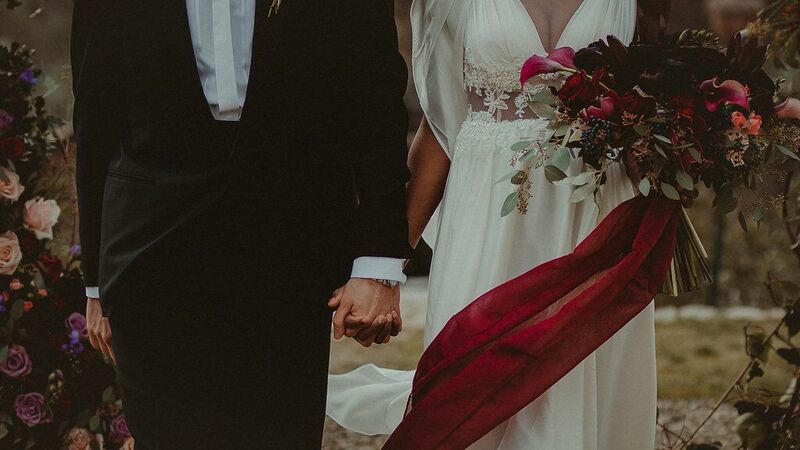 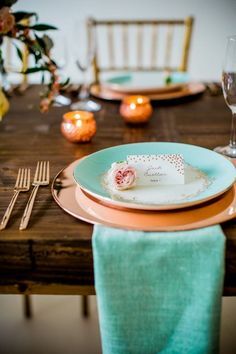 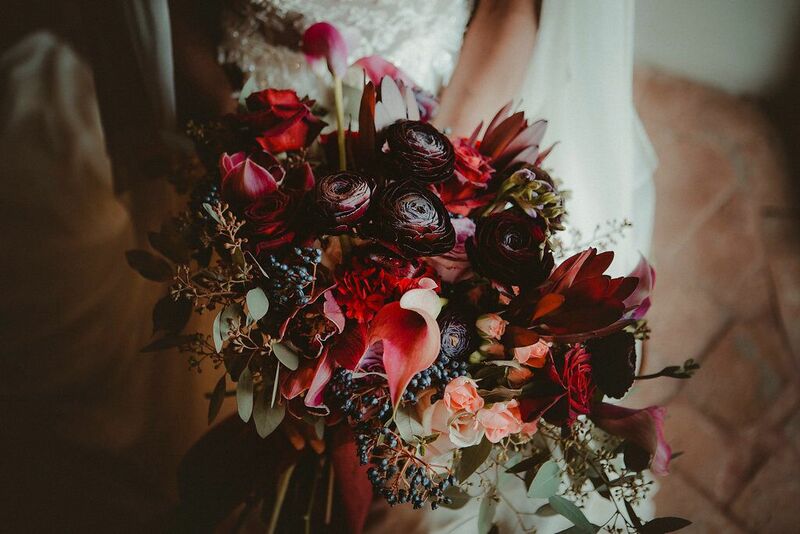 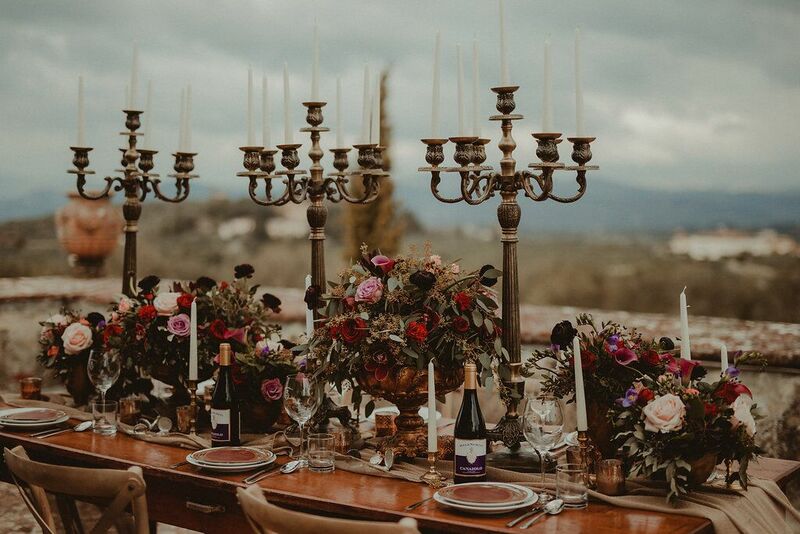 Due to the time of year, I wanted to do an Autumn inspired shoot, filled with vibrant, deep hues of burgundy and gorgeous antique accents that complemented the villa’s history. 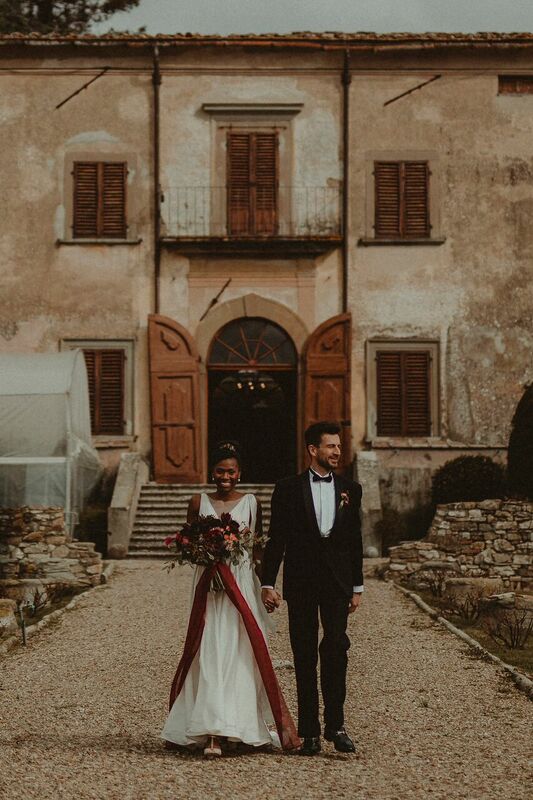 The villa and the grounds are beautiful as is, so it didn’t take much to make it look even more stunning. 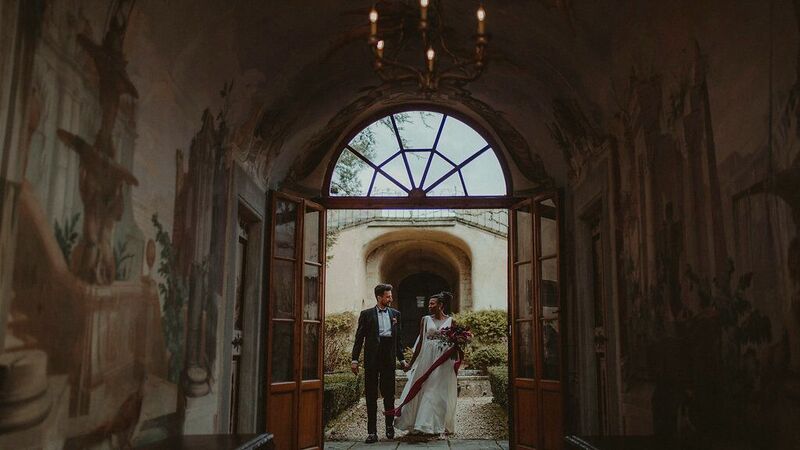 For the first look we used a historic walkway in the villa that featured painted ceilings to capture the excitement. 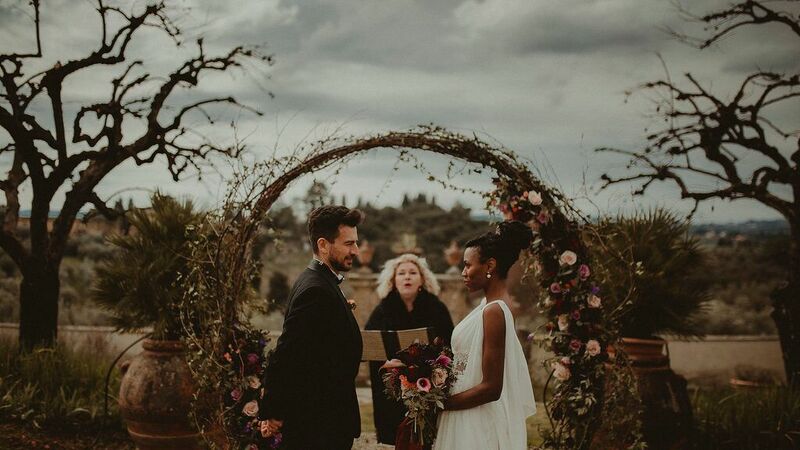 The highlight of the shoot was the circular floral structure that became the backdrop for an exquisite wedding ceremony. 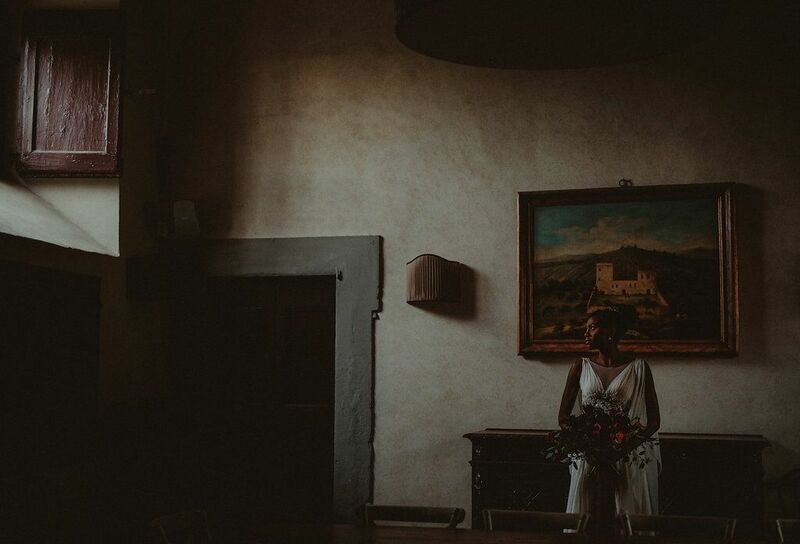 It overlooked an ancient fountain and those iconic Tuscan hills. 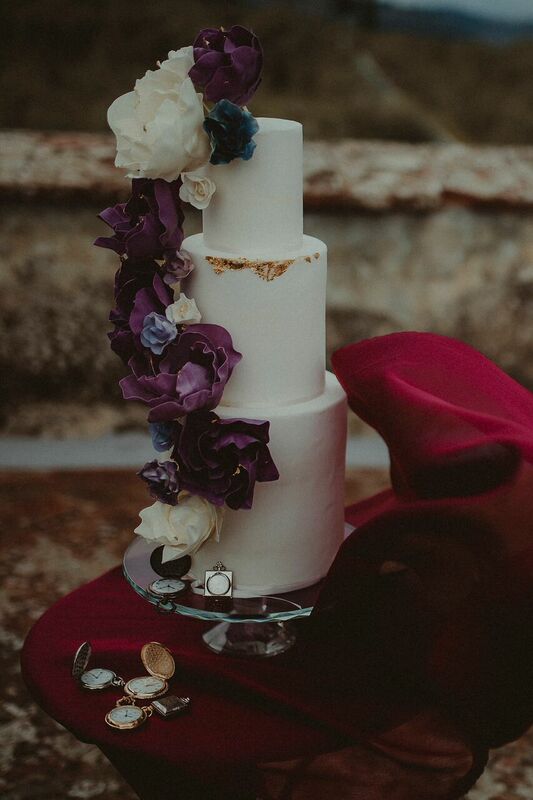 We move on to couple photos, and the sparklers truly added a unique element to the shoot. 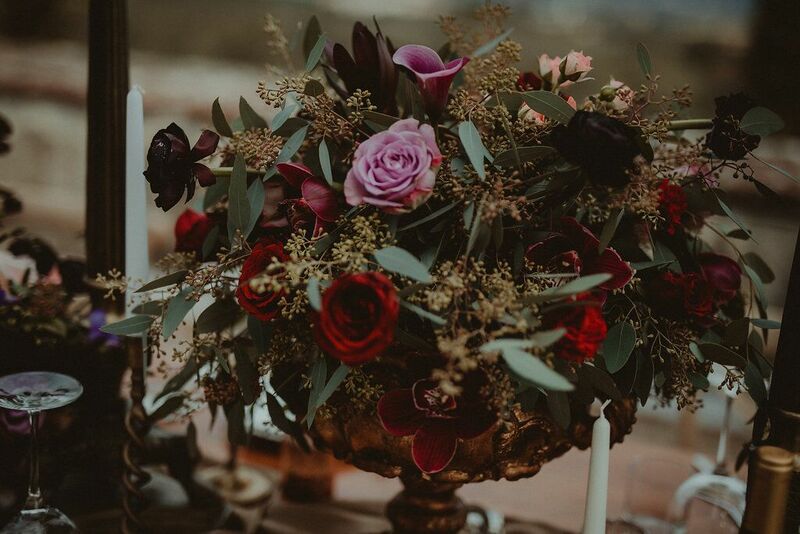 Our stunning reception table featured low lush florals in hues of burgundy, wine, blush, and lovely laser cut custom menus. 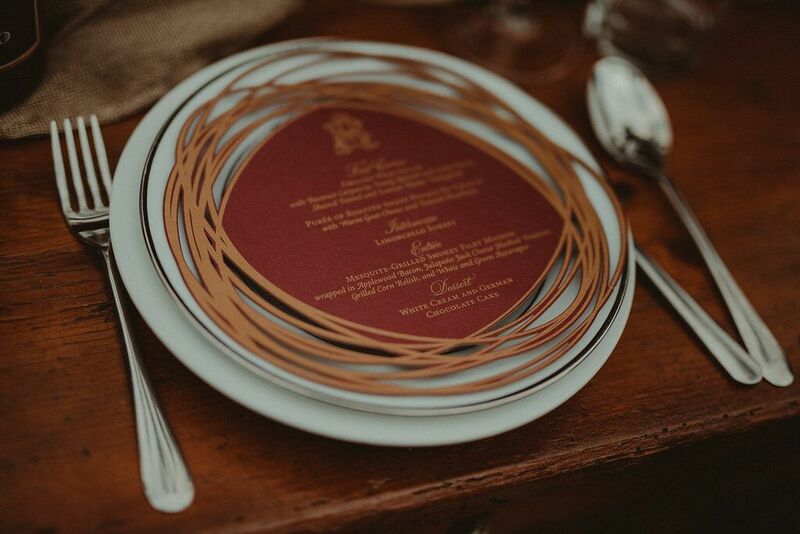 We also showcased delicious Malenchini Wine from the villa’s wine estate as it complemented the design so well. 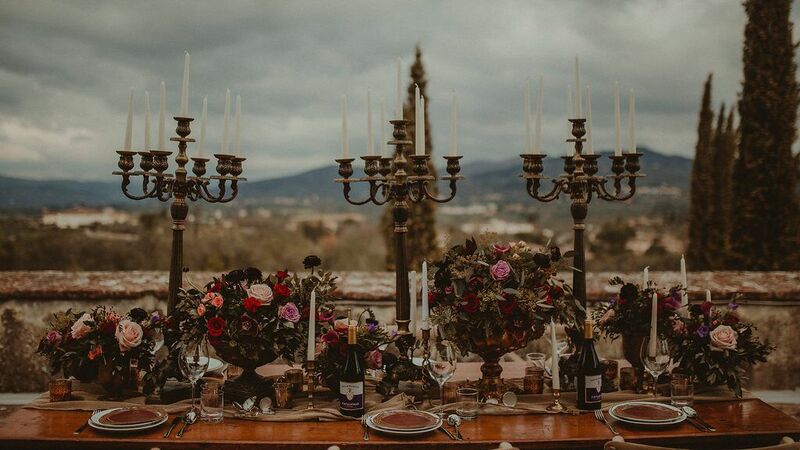 We loved the baroque candelabras and cute timepieces which added complexity to the design. 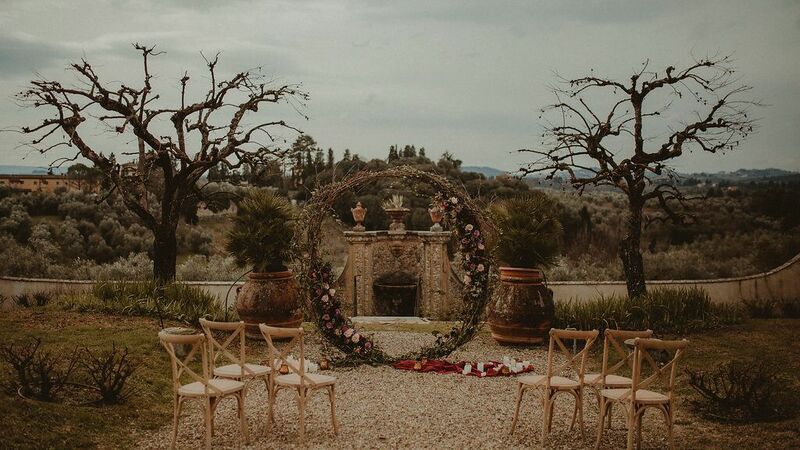 Still we didn’t want to over do it with florals and decor, as the exquisite view was a showstopper. 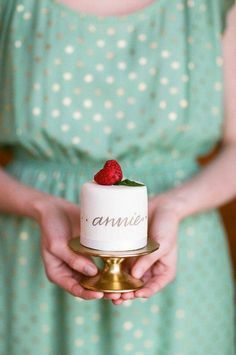 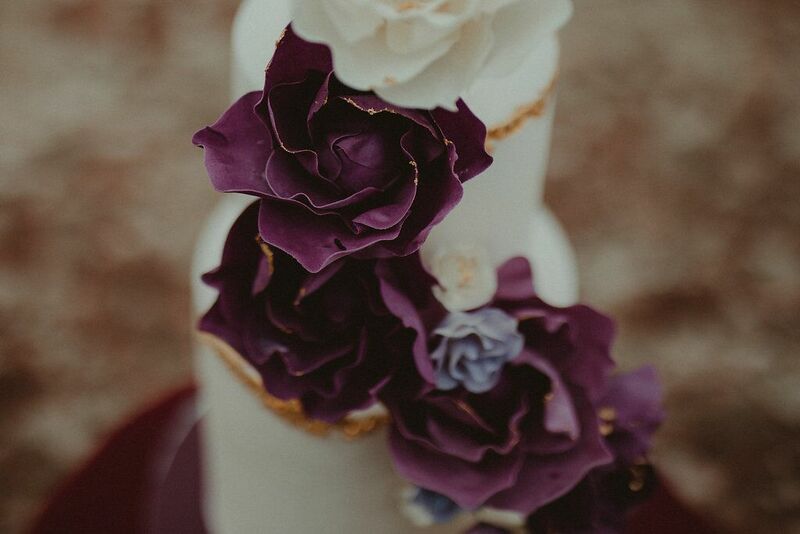 The cake was the perfect accompaniment to the table, with the beautiful covering floating in the wind. 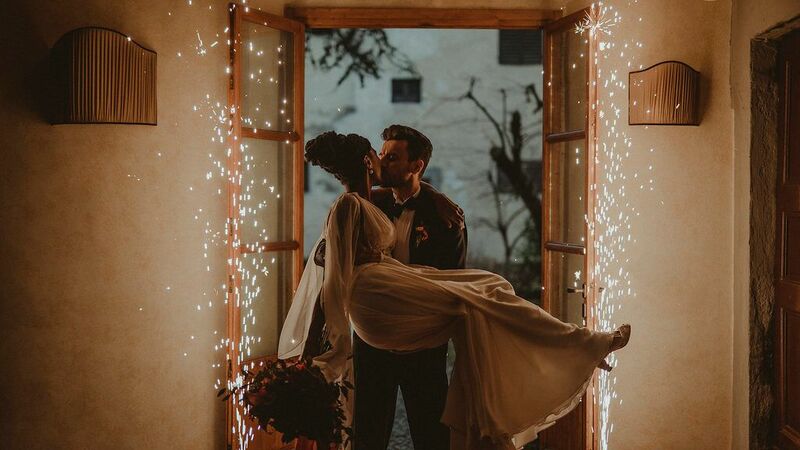 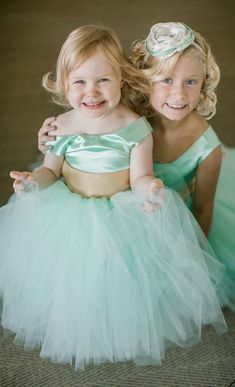 And of course, no wedding is complete without the groom carrying his new bride over the mantle, a sparkling start to their new lives together.